During my 17 years as a missionary to Ecuador, I planted many churches from the mainland to the Galapagos Islands. My first church plant, La Cruz del Valle, was in its initial stages when the time came to celebrate the first Pastor’s appreciation day. The 50 new members thought about the perfect gift to give their pastor. 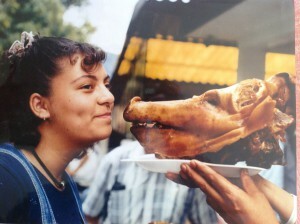 When the special day arrived, they presented the gift … a roasted pig’s head. I later learned what a high honor it was to receive the head of a pig. Talk about two different cultural views of what a perfect gift is. Many years later, the 350 members planned for another perfect Pastor appreciation gift. After the morning service, they had the pastoral staff sit in a row on the platform. Immediately, a team of 10 members came out with containers of warm water, filled with rose petals. Another team of 10 members knelt before each pastor to remove our socks and shoes. They had secretly decided to publicly wash the feet of the pastoral staff. Since so many had wanted to wash our feet, they drew straws to see who would have the “honor”. As the two teams took turns washing our feet, the rest of the church streamed behind us whispering words of appreciation. Everyone wept. It is humbling to have your feet washed. The spectrum of beliefs concerning foot washing range from something to avoid, to being church doctrine. I was a member of the Church of God for 32 years. 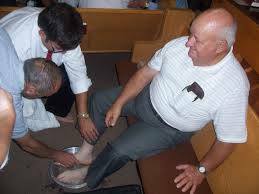 Foot washing is a part of their core beliefs, listed in their doctrinal commitments. John 13:1-15 and 1 Timothy 5:10 are the scriptural base for their doctrine. In this article, I want us to think about the character lesson to be learned in foot washing, the example Jesus gave of servant leadership. Professors, Let Us Wash the Feet of Our Students! John 13:1-15 talks about Jesus washing the feet of His disciples. Culturally, foot washing was a common occurrence in the first century. People’s feet would get dirty as they walked on dusty roads. Most homes would have had a servant to wash the feet of their guests. Generally, it was a servant in the lowest position. Today, the symbolism of “dirty feet” represents walking in a world at odds with the teachings of Christ. A daily walk in today’s world can bring wrong attitudes, beliefs, and ideas that strengthen our character flaws. The disciples sat in disbelief. They knew what Jesus, the Son of God, was about to do. Peter did not want Jesus to wash his feet. Peter’s reaction gave us a tangible understanding of what must have run through all of their minds. King Jesus, not a lowly servant, chose them. Peter was no longer a fisherman; he was selected to be a person of greatness with a better future. How would we react if Jesus came into our lives, grabbed a towel, and humbled Himself by kneeling before us to wash our feet? Jesus wanted to remind His disciples of their humble beginnings. In this century, the physical need for foot washing no longer exists because we have different footwear, and cleaner paths to walk on. Yet, the spiritual application for foot washing is needed even more. We are given the title “Teacher,” we teach our course material, but how can we teach the powerful lesson Jesus taught His disciples? How can we teach our students that their education brings them to a more humble, rather than a more exalted place? There is a constant complaint of many national leaders. After completing their educational goals, some students only want leadership positions with the best financial possibilities. We return to the phrase “dirty feet” mentioned earlier. The world teaches that as you advance in education, your financial benefits should increase. This worldly concept is at odds with the teaching of Jesus. As Jesus washed the feet of His disciples, He reminded them that the greatest in the Kingdom is a servant of all. In the world’s view, being a servant is not an exalted position. It is odd to go from talking about pigs’ heads to foot washing. And it is equally odd to go from talking about foot washing, to talking about education. 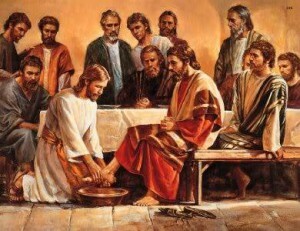 Jesus gave the example of being a humble servant leader as He washed the feet of His disciples. This is a very small example for such a large issue, but character formation must begin somewhere. On one occasion, I witnessed a professor picking up a student’s dirty lunch tray. The student reacted in protest, stating that the institution had assigned servants to pick up his dishes. His professor insisted in demonstrating a symbolic example of foot washing. The next day, other students began picking up the lunch trays for their colleagues. As some students climb the rungs of the educational ladder from bachelors, masters, and eventually doctorate degrees, they lose sight of their humble beginnings. They are not aware of what a gift it is to be a servant leader. In the same way that Jesus taught His disciples to be servant leaders, we can return this gift to our students by continually mentoring them in practical ways. As we walk with our students through their educational process, we must find intentional and creative ways to teach them the powerful lesson Jesus taught His disciples. Amen, Michael! May we who desire to be leaders in ministerial formation be the first to pick up the towel! To echo David, “amen!” John 13 was precisely my devotional reading this morning, and I pondered how foot washing would translate into the culture in which we currently live. Enjoyed the article. Thank you for your examples and insight. Thanks, Michael. Excellent point – let’s never forget we are servant -leaders like our Lord.